Saturday night Jean and I traveled to Newberry, South Carolina where we spent the night. Sunday morning we got up early and drove to Congaree National Park, South of Columbia, South Carolina. Congaree became a national park in 2004. 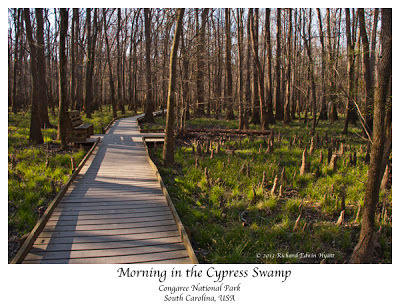 It was designated Congaree Swamp National Monument in 1976 when loggers wanted to log this old growth forest. Many record sized trees are scattered around the walk ways that were saved from the ax with creation of the Congaree Swamp National Monument. 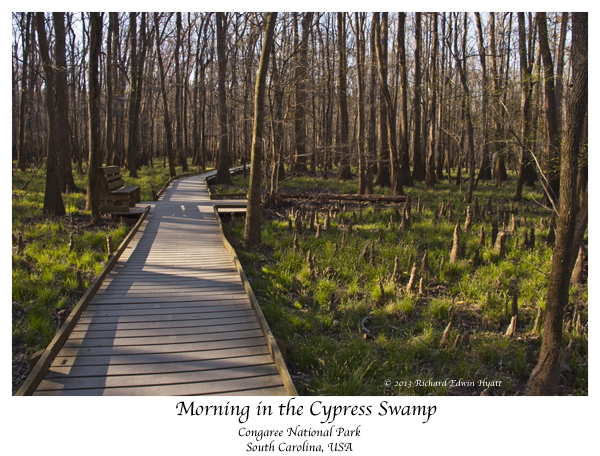 It became a Congaree National Park under then president George W. Bush. The "S" word in the name was dropped in order to increase park visitation. There are miles of trails and boardwalks in the park where we saw several Pileated Woodpeckers, Hairy Woodpeckers, warblers and other birds. We did see a few butterflies. If you are ever down in this area it is worth a trip for a day or two.